This is from eight different parcels around Gevrey, with the youngest vines 50 years old and the oldest up to 80. Louis harvested a relatively normal-sized crop. The immediacy of the vintage is obvious, but Louis is certain this will keep well too. It has a lovely equilibrium, with just the right amount of tannin. Drink 2020-2028. 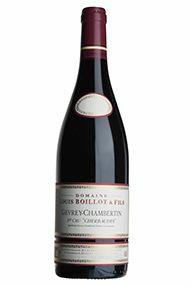 Louis Boillot came to Chambolle-Musigny, where his partner Ghislaine Barthod is based, from Gevrey-Chambertin, though as his full range of wines indicates, he is descended from the Volnay family of Boillots. 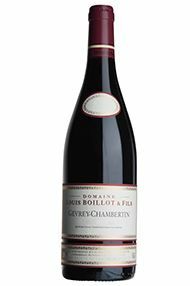 He was formerly associated with his brother and father at Domaine Lucien Boillot, but set up on his own from the 2003 vintage. 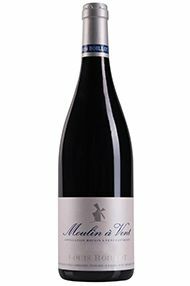 In 2013, Louis supplemented his holdings in the Côte d’Or with the purchase of just over four hectares of well-sited old vines in the north of Moulin-à-Vent (the fruit of which you’ll find on pages 54 and 55). Louis and Ghislaine have recently been joined by their son Clément. Given that Louis thought that his 2015s were among the best wines he has ever made, it is quite a step up for him to say that, categorically, this is his best-ever vintage. It is an assertion that’s hard to refute. His eschewing of current trends in winemaking (no whole-bunch here) and a modest, reflective stance has allowed him to get the best out of his extraordinary array of vineyards and old vines. There are wonderful expressions of each vineyard this year. Only one barrel was made this year, from 80-year-old vines. 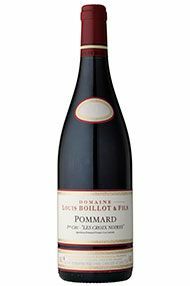 It’s very Pommard on the nose, which is to say there is a density to the fruit, with almost an earthy undertone; yet it is countered by a heady, bright fruitiness of cherry and blueberry. Lots of power and energy in this wine. Drink 2022-2032. A simply astonishing vineyard, planted in 1912, it sits at the same height as the Grand Cru La Chapelle, indeed right next to it, and diagonally across the road from Clos de Bèze. Only three barrels were made but this is definitive Gevrey. Strong positive fruits of plum and cassis mingle with hints of allspice and cinnamon, subtly held in a silky grip of iron and graphite. It’s got everything. Drink 2022-2035. Always a small cuvée, there are three barrels this year, against a mere single barrel last year. Stylistically this is also the inverse of 2016; with all the rich fruit up front rather than the power behind, although some Pommard structure ties the ends together. Drink 2022-2028. Louis began his harvest on 28th August on his earlier Côte de Beaune vineyards and enjoyed bright sunshine throughout the harvest, which ended nine days later. He volunteers that there is less structure than in 2016 but he likes the fruity, gourmand style. This year he looked for freshness and aromatics. 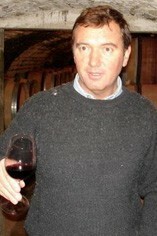 “Quatorze degrés n’est pas Pinot,” says Louis (“14 degrees [of alcohol] is not Pinot”). He will bottle earlier, without fining or filtration, as usual. A very pretty range this year, delicious and pure. 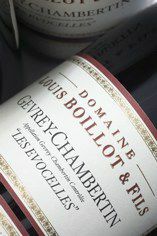 Louis has eight different parcels around Gevrey which contain some of his domaine’s oldest vines. There is lots of immediate charm and the wine is very easy to taste. The tannins are easy and silky. A lovely example of 2017 without artifice. Drink 2020-2024. This high vineyard is usually a little austere but this is almost seductive. Spicy with notes of blood orange, the palate is fluid before the more architectural tannins reassert themselves. Really delicious and forthright. Drink 2020-2026.